It may seem like the Catholic Church in America is routinely mired in sexual abuse scandals and evidence of longstanding cover ups. But this time it’s different. This time, a former high ranking Vatican official is claiming Pope Francis himself knew and did nothing about abuse perpetrated by at least one U.S.-based cardinal. That same official is calling on Pope Francis to resign. It might be tempting to look at these developments and conclude that they are just somebody else’s problem. In many ways, they are. But if the Jewish community doesn’t sit up and take notice and learn from what’s happening to Catholics, we could be left vulnerable to repercussions likely to affect every religious group in America. I’d like to say it’s the last refuge of the scoundrel to respond to allegations of a serious nature by claiming the charges are motivated by political divisions or racism. Sadly, it’s become more of the first, last, and constant refuge. In this case, the Pope’s supporters and a good deal of the mainstream news media have decided to cast the new charges against the Pontiff as being some kind of conservative conspiracy against him. Then there’s the cardinal from the Chicago archdiocese who says these charges are being trumped up against Pope Francis because he’s a Latino. And here I was, hoping that religious groups would be the final line of defense against the idea that justice isn’t justice and right and wrong can only be defined by which ethnic group is on either side of an alleged crime. But let’s face it, there are Jewish groups here and in Israel that resort to this kind of nonsense. For example, I often hear Haredi people accused and even convicted of welfare fraud excused for their crimes based on the argument that the accusers must have been motivated by antisemitism. In Israel, opponents of the Haredi draft frequently compare the Netanyahu government to the czars of 19th century Russia who forcibly conscripted religious Jewish boys to get them to leave the religion. And this isn’t just the go-to excuse for religious Jewish criminals. Plenty of secular Jews have been happy to play the Jewish card when they find themselves in legal or financial trouble. This kind of political/identity politics might work on some people, but to a lot of us it only confirms the guilt of those resorting to it. Let’s stop doing it and stop supporting it. Years of reading about sexual abuse cases in the Jewish community have not led me to believe our schools, shuls, etc. are any more likely to cover up these kinds of crimes. But there have been too many credible cases to ignore. Outlining the steps we need to take to avoid these kinds of incidents would take up at least a dozen columns. The bottom line is that Jews who are connected to our religious and educational institutions need to make sure we don’t follow the Catholic Church’s terrible mistakes in handling these incidents. The fact is, the Church’s cover ups of these crimes up have made things worse for everyone. Many churches and schools have been shut down to help pay for the enormous financial awards given by the courts to abuse victims. None of us want to see our beloved schools and shuls shuttered forever because someone committed abuse and the institution didn’t deal with it properly. But that’s exactly what’s at stake. We can either learn from the Catholics’ mistakes or repeat them. 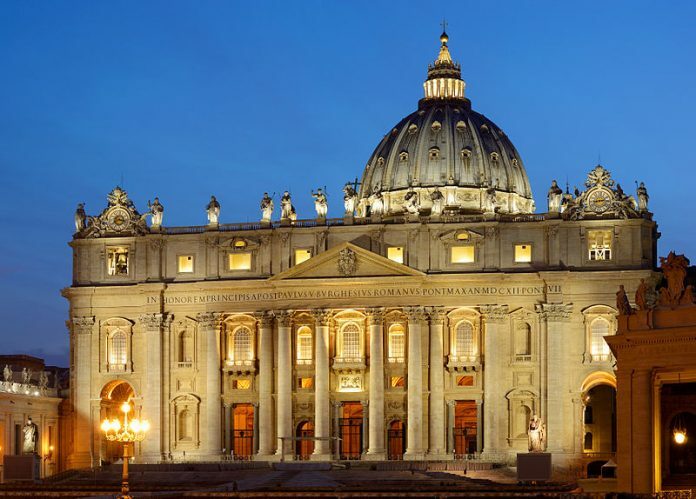 If it turns out that Pope Francis is guilty of any kind of provable cover up, the financial results will make what’s already happened to the Church look like nothing. The Vatican is a massively wealthy and untaxed institution that could be milked by plaintiffs’ attorneys for decades. To secularists around the world, these abuse scandals are a great way to demonize and debilitate religious institutions. These people don’t really care whether the institutions are Catholic, Protestant, or Jewish. They just want to defame religion and any influence it has in society. To be clear, as I noted in reason #1, none of that means we can just brush off abuse allegations as some kind of anti-religious attack. On the contrary, we must do a better job at finding, punishing and ending abuse in our community before we lose control of the situation to those who genuinely want to punish us just for being religious. In short, something very bad has been going on inside the Catholic Church for many decades. It was always a stretch to believe that the Pope at any given time wasn’t aware of specific crimes. In fact, it’s beginning to look like Francis’ predecessor, Pope Benedict, may have stepped down rather than face these issues five years ago. We can either pretend this has nothing to teach us, or we can learn from it. The survival of American Jewish life as we know it relies on us learning from and avoiding the Church’s mistakes. Jake Novak has been a TV news producer and editorial columnist for more than 25 years, with expertise in political, economic, religious, and cultural issues. He has produced shows at CNBC, CNN, FOX, and several local stations across the country. Novak is a graduate of the Yeshivah of Flatbush, has a bachelor’s degree in political science from Columbia University, and a master’s degree from Northwestern’s Medill School of Journalism. Follow him on Twitter @jakejakeny and watch out for future columns on 5TJT.com.